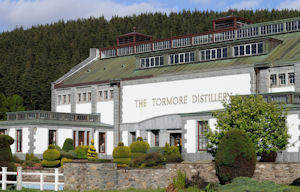 Tormore Scotch Whisky Distillery is one that is owned by the Chivas Brothers. 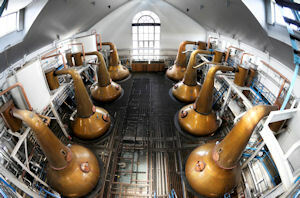 It was built in 1957 making it the first Scottish Distillery to be built during the 20th Centrury. The distillery is set in a beautiful area in Speyside with the River Spey running below the distillery. The water is so good from the River Spey that the whisky quality from this distillery is excellent. To just show how clean the water is in this part of the world freshwater Perl Mussles are available here and they can only survive in the purest water. Contact details for this distillery are as follows: Tormore Distillery, Grantown N Spey, Moray PH26 3LR. If you would like to contact the distillery by phone or fax the numbers required are Tel: +44 (0)1807 510244 Fax: +44 (0)1807 510352.